For over 17 years, Anand Buildtech Pvt. Ltd. is playing a vital role in development of public, commercial and infrastructure Projects in NCR esp. in NOIDA. The organizational progressive DNA of ABPL has been inherited from its parent company M/s Anand Prakash, which transformed into ABPL in the fiscal year 2002. Building Construction : Hospitals, Residentials, & Education Sectors. ABPL has always been engaged in providing Civil Contracting Services with uncompromised commitment to quality, health, safety and environmental habitat. In the past 17 years, our company has developed a complete expertise from design to construction, engineering of building, road projects, residentials, hospitals & stadium etc. 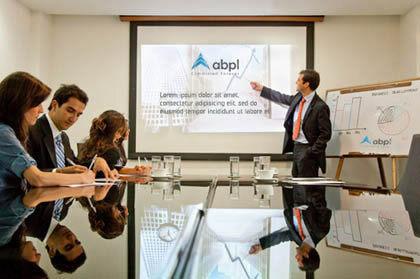 In today's competitive time, ABPL is connected with New Okhla Industrial Development Authority (NOIDA), Greater Noida Industrial Authority (GNIA), Ghaziabad Development Authority (GDA) and Rajasthan State Road Development & Construction Corporation Limited (RSRDCC).We have recently established an office in Rajasthan and Madhya Pradesh to undertake projects to contribute in the development of state. ABPL putting all its best efforts to get connected and to play role in development of other states of India as well. Quality, Technology, Professionalism and commitment are the four pillar of our foundation which define the road of the future. Marching forward, with 17 years of experiance behind us, was not possible without the determind team of ABPL. Mr. Anand Prakash is the venerable founder of this company and served as a Chairman before retiring. Inspired by the huge potential and with years of practical experience in civil construction, he started his own enterprise and over 45 years he has single-handedly guided us to become one of the leading lights in this field. His vision, business acumen and expertise gained the company prestigious projects from leading companies of India. His success is due to his unshakeable commitment and passion to delivering nothing but the best to each client in a full value-for-money proposition. Mr Devendra Kumar Gangal started working alongside his father in 1997 after completion of education. Starting at the bottom, he acquired in-depth knowledge of all facets of civil construction and is today an acknowledged expert analyst in this field. His leadership brought new impetus to the company and his active involvement, expertise and professionalism gained the company prestigious contracts in infrastructure. Along the way Mr Gangal realized his vision of reaching the pinnacle of success and creating a niche position for the company on its march towards becoming a market leader. With 18 years of experience in procurement management in various industrial segments, especially construction, Mr Vipin Kumar Garg is the company's chief asset in this department, primarily responsible for management, control and flow of materials as well as financial planning. His foresight and insights into virtually all parts of the company's operations have helped to create a supply side chain and logistics set up that has helped enhance efficiency, boost productivity, reduce costs and also to increase the reputation with all stakeholders. Mrs KavitaGangal brings fresh insights, the human touch and the benefit of expert skills in handling procedures and people in the administration of a large company. She does this day in, day out, flawlessly and seamlessly. Internal administration as handled by her has helped improve workflows, reduce burden on employees, boost productivity and deliver better services to company clients. Mr Vikash Gupta brings to bear his 12 years of skills and craft in the strategic management, business planning, future thinking and promotions as well as development activities of the company. He plays a pivotal role in the current operations while keeping a foot in the future with his vast knowledge and planning capabilities to take the company to new heights and explore fresh frontiers in its quest to become a leader. Mr Sandeep Agarwal is Deputy Director of Business Promotions and enriches the company with his experience of over 10 years in Project Control and Planning. Currently responsible for planning of each project, large or small, and its timely completion with attention to perfect delivery in all respects, he is also responsible for promoting brand image and making the right impression with potential clients while enhancing goodwill with present ones. His strength is his capability to take on stupendous workloads, give meticulous attention to each, manage human interactions and move the whole machinery in a smoothly oiled way for perfect outcomes and highest levels of satisfaction. Hospitals, Residentials, & Education Sectors.